It’s that time of year and we’re finalizing plans for this weekend’s annual meeting for our policyholders. We enjoy this gathering and the opportunity to share news of our mutual. Forward Mutual is, after all, the policyholders’ mutual! In this year’s annual report, we shared three graphs. Let’s take a sneak peak and see how Forward is working for its insureds. Combined Ratio is a measure of profitability used to indicate how well an insurance company is performing in its daily operations. A ratio below 100% indicates the company is making an underwriting profit while a ratio above 100% means it is paying out more money in claims than it is receiving from premiums. Paid Property Losses is the amount paid to policyholders to cover their claim of damage or loss. The premium written to surplus ratio measures financial strength and the ability to absorb above-average losses. The ratio is computed by dividing premium written by surplus. An insurance company’s surplus is the amount by which assets exceed liabilities. The lower the ratio, the greater the company’s financial strength. Forward Mutual is sound, secure and strong for the member policyholders we serve. 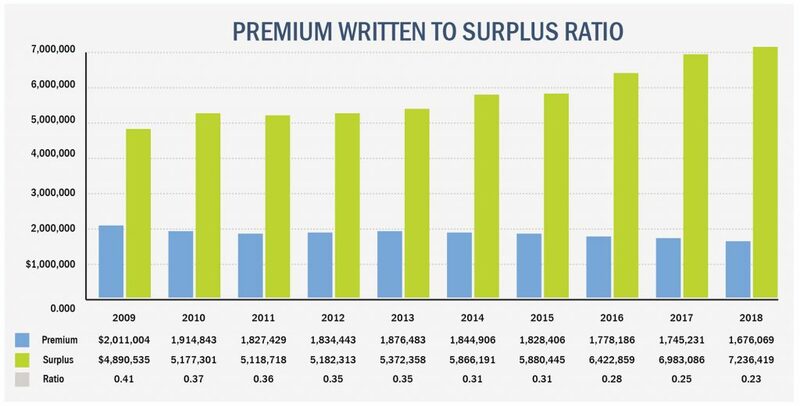 Forward Mutual is proud to announce its surplus increased 3.6 percent and its premium written to surplus ratio of .23 to 1 is the strongest recorded. Looking to see more of Forward Mutual’s year? Check out our annual report here and then consider how we can be of service to you. We in the insurance industry commonly deal with unexpected losses. However, nothing prepares us for the sudden death of a dear loved one. The Forward Mutual family is greatly saddened to share that our director Donald Reese passed away unexpectedly on Monday, December 10. 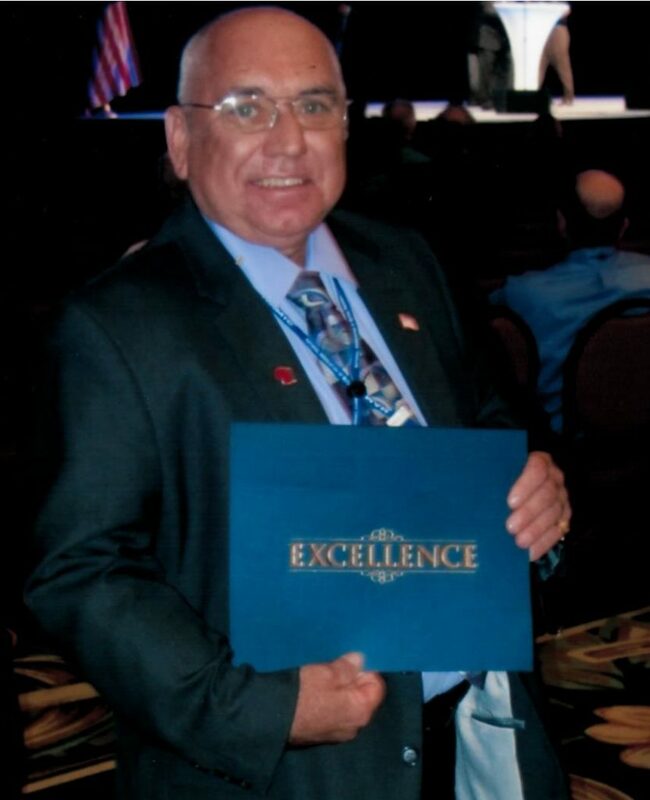 Don has been a board member since 2001 and served as our secretary/treasurer. He was a beloved member of our Forward family and a personal friend to us all. We will greatly miss Don’s friendly smile, wonderful laugh and strong leadership. Yet we also rejoice knowing he now celebrates an eternal life in heaven with his Savior Jesus Christ. A visitation for Don will be held Thursday, December 13, from 4-8 p.m. at Hafemeister Funeral Home in Watertown. Visitation will also be Friday, December 14, at St. Peter’s Lutheran Church in Helenville from 9 a.m. until the time of his funeral service at noon. 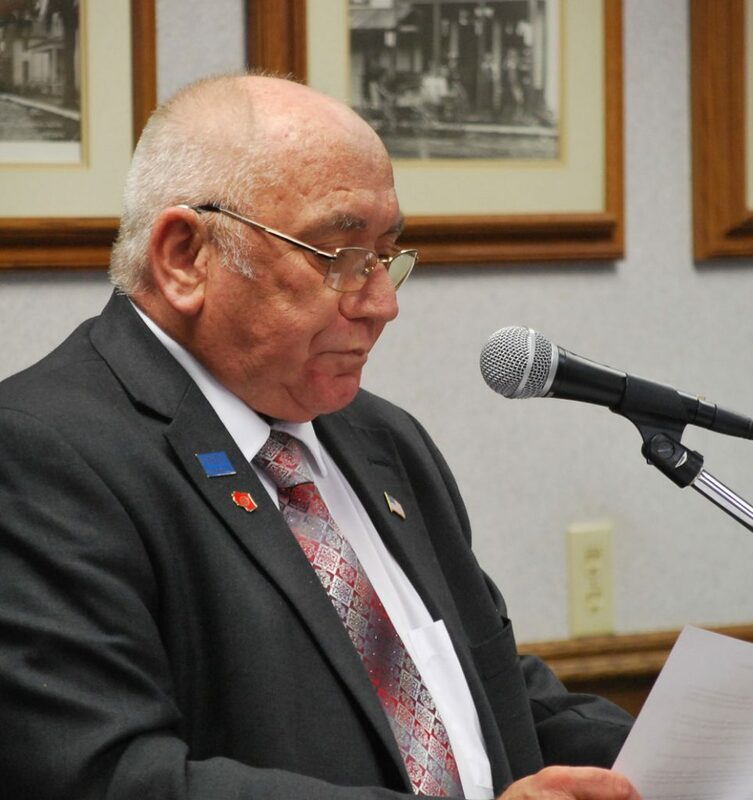 View Don’s obituary and funeral information here. As a self-employed businessman, Don supported the Jefferson County Meat Animal Sale. 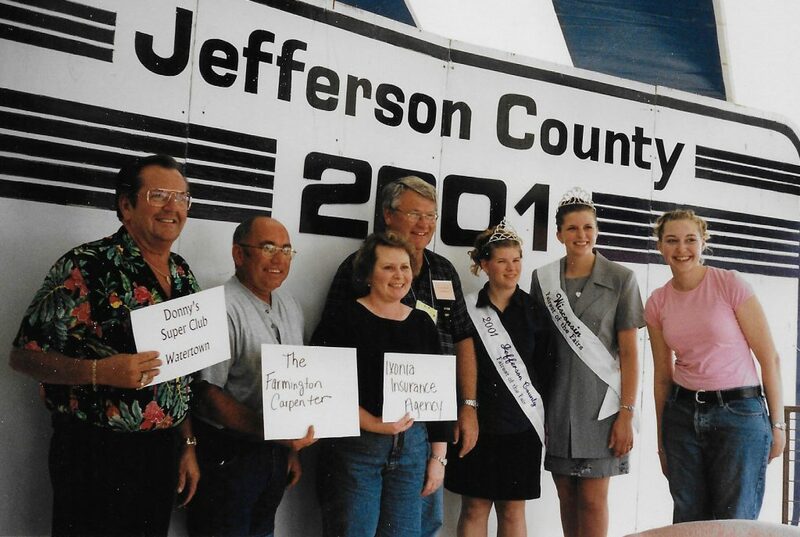 In 2001, he participated in purchasing the hog of future employee Sarah Loppnow Mueller. 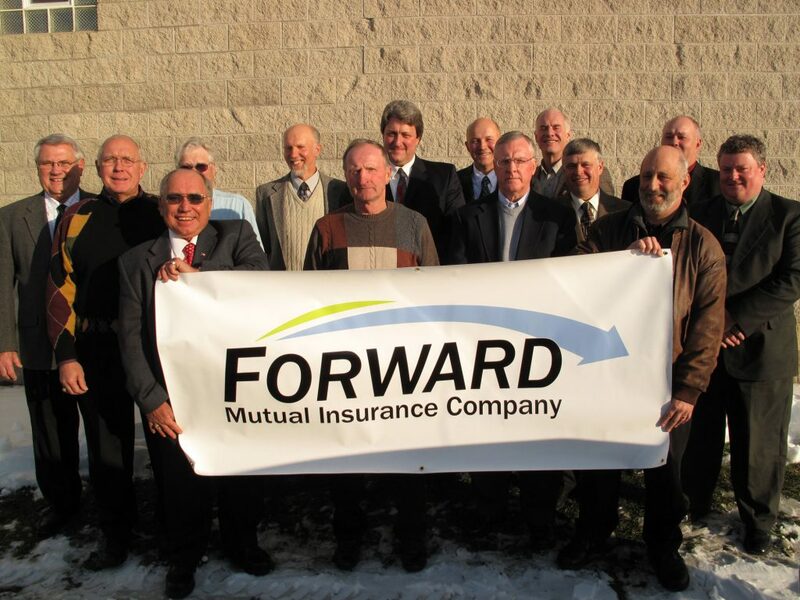 In 2009, Don helped guide us through the formation of Forward Mutual Insurance Company. 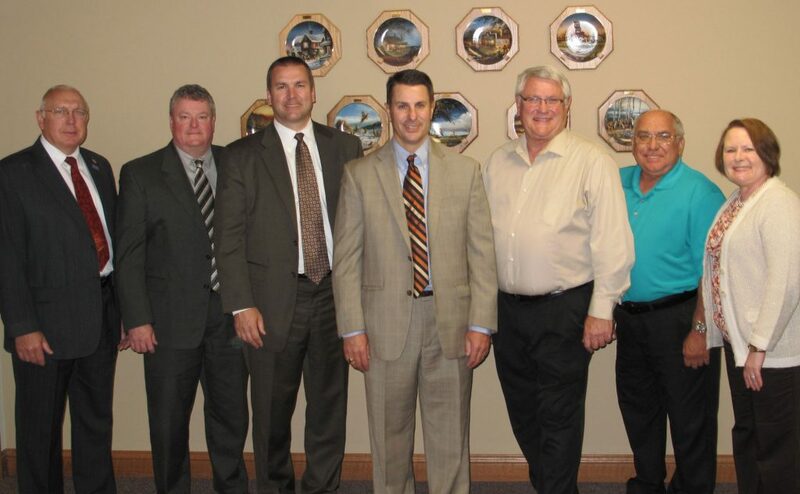 In 2012, Don helped welcome the Wisconsin Office of the Commissioner of Insurance to Forward Mutual. As secretary/treasurer for Forward’s Board of Directors, Don was a leader in our day-to-day operations, our annual policyholders meetings, and in our future growth. We will miss him greatly. Do You Have Enough Liability? 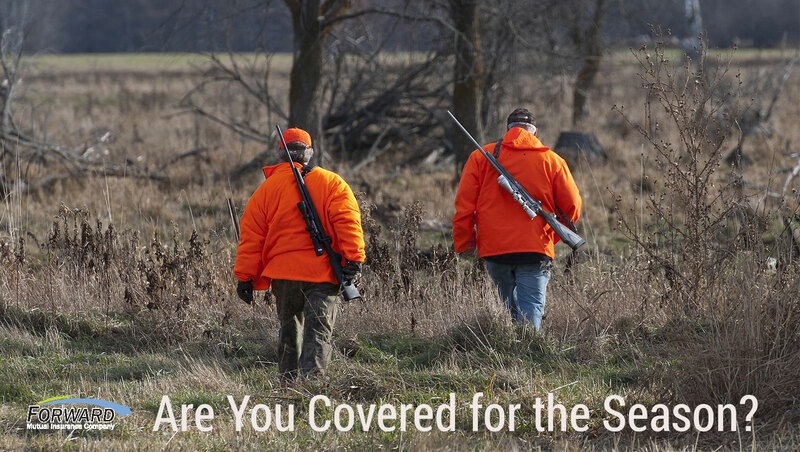 In general, the personal liability coverage on your home insurance policy will follow you away from your home, including while you are hunting. However, if you own or lease the property you are hunting on and don’t have an insurance policy on that hunting property, be sure to tell your Forward Mutual agent. Are Your Guns Listed on Your Home Insurance Policy? Guns, bows and other hunting equipment are valuable possessions. They are covered by a home insurance policy, however they’re subject to limitations. 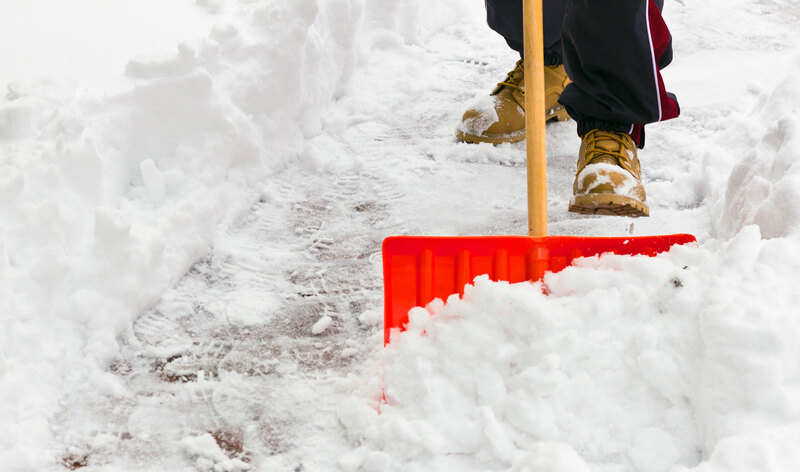 The best way to adequately cover your equipment is to schedule them on your home insurance policy. Be sure to inform your agent or Forward Mutual whenever you make changes to your collection. There will always be another day, or another season to get back in the field. If the conditions don’t feel safe, head back and relax by the fire. Most importantly, be safe and have fun!